THE group overseeing the overhaul of ‘Hall’ No. 4930 Hagley Hall has set out its stall for the next three years with the aim of having the Severn Valley favourite back in traffic during 2020. 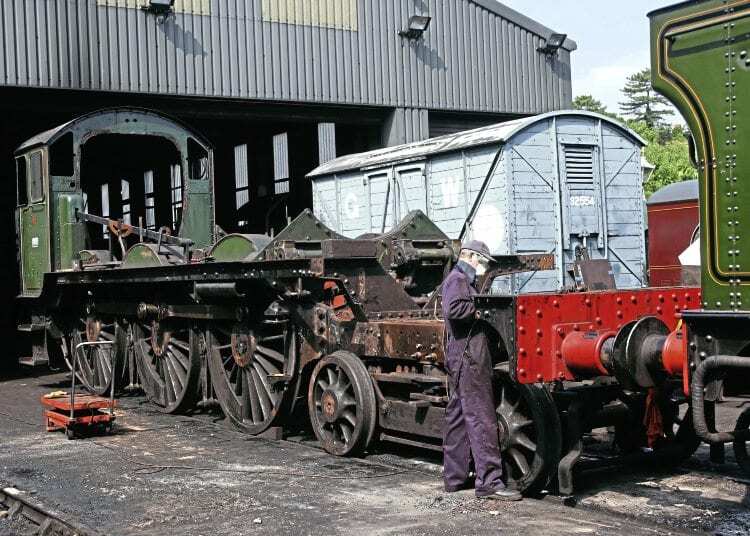 Working in conjunction with Severn Valley Engineering Services and the loco’s owners – Severn Valley Railway (Holdings) – the Friends of Loco 4930 Hagley Hall has compiled a detailed programme of work that will take the ongoing overhaul of the 1929-built 4-6-0 through to completion. Perhaps the most significant aspect of the project will be the manufacture of replacement cylinders, and during late February specialist contractors arrived on site at Bridgnorth to remove all asbestos content from the cylinder block after the two halves had been split. This work was completed in early March and design work is now underway to have a detailed 3D CAD (Computer Aided Design) model produced that will be used to manufacture the pattern for the new cylinders. Meanwhile, the boiler overhaul will begin at Bridgnorth towards the end of June, with the bottom end following at the end of September. The first task will be to drop the wheelsets out and transfer them to the South Devon Railway for the fitting of new tyres. ‘Friends’ volunteers will continue to clean, refurbish and paint smaller components as the major works progress, much of this centred around the Collett 4,000 gallon tender, formerly paired with Great Central Railway-based ‘Modified Hall’ No. 6990 Witherslack Hall, the pair having swapped tenders back in 2013. The project is aiming for completion in time for No. 4930 to enter service during the 2020 season.